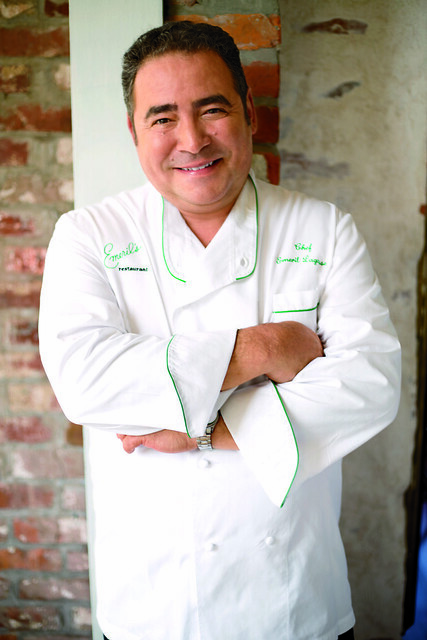 Tickets are currently available for the 2019 Women’s Philanthropy Board Spring Symposium and Luncheon featuring renowned chef Emeril Lagasse on Monday, April 8, at The Hotel at Auburn University and Dixon Conference Center. Lagasse is the chef/proprietor of 11 restaurants in New Orleans, Las Vegas, Miramar Beach, Florida, and at the Sands Casino Resort Bethlehem in Pennsylvania. He established the Emeril Lagasse Foundation in 2002 to support children’s educational programs that inspire and mentor young people through the culinary arts, nutrition, healthy eating and important life skills. To date, the foundation has distributed $10 million benefitting children’s charities in New Orleans, Las Vegas and on the Gulf Coast. In 2013, the James Beard Foundation recognized Lagasse as the Humanitarian of the Year for his dedicated efforts to further the culinary arts in America, as well as his philanthropic work. Lagasse’s restaurant company, Emeril’s Homebase, is in New Orleans and houses culinary operations and a test kitchen for recipe development. The morning symposia will begin at 10 a.m., with Olivia Hails and “The Science of Negotiating: A Guide for Women.” She is the Southern Division Retirement Director with Janus Henderson’s Defined Contribution and Wealth Advisor Services Team in Atlanta. In this role, Hails consults with financial advisors, platform partners and Janus Henderson directors to navigate today’s complex retirement landscape. Teri Lovelace will present, “Social Impact Investing,” at 11 a.m. She is president of LOCUS Impact Investing, a social enterprise empowering place-focused institutions to invest their assets locally to build vibrant and prosperous communities. Lovelace has over 27 years of experience in the philanthropic, mission investing and nonprofit sector. The luncheon featuring Lagasse will follow the symposia at noon. Because of construction in the hotel parking lot, attendees should arrive early or park off-site. Complimentary valet parking is available. Individual, open-seating reservations for the luncheon are $125 and a platinum pair of reservations is available for $1,000. Reserved sponsorship tables of 10 seats are available in the following price structure: Gold Table, $1,500; Platinum Table, $5,000; and Diamond Table, $10,000. Reservations and sponsorships may be purchased at www.carycenter.auburn.edu/wpb. The Women’s Philanthropy Board, or WPB, is the flagship division of the Cary Center for the Advancement of Philanthropy and Nonprofit Studies, an academic center in Auburn University’s College of Human Sciences. In addition to hosting educational outreach programs, WPB sponsors mentoring initiatives for Auburn students and practices collective philanthropy by supporting scholarships and philanthropic impact grants. Since its establishment in 2002, WPB has provided more than $700,000 to support student scholarships, faculty and programs in the College of Human Sciences. WPB is funded through the generous support of more than 200 individuals and corporate and business partners. WPB’s 2018-19 educational programs are sponsored by Alabama Power. For more information about the Women’s Philanthropy Board or the 2018 Spring Symposium and Luncheon, call 334-844-3524 or email wpbchs1@auburn.edu.